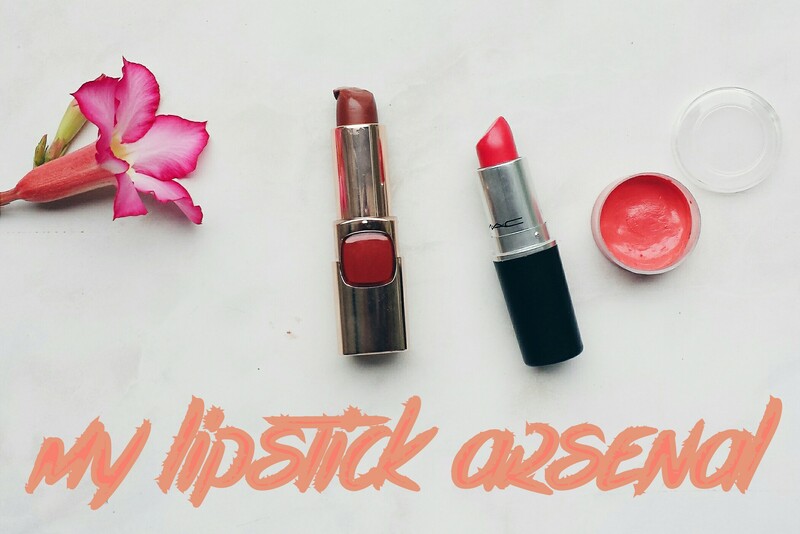 Yes, yes, your honour, I, Paoline, am hooked with lipsticks. When I was younger, I was too afraid to wear tinted balm (tinted balm!) because “it’s too colorful”, but now, my lipstick wishlist includes purples and oranges. I figured, it’s best to start a (very) busy week with my best (makeup) game face. On top of the usual base, blush and brows (U3B’s*) is a free lipstick that I got from L’oreal, called Collection Stars in Barely Moka. I read on the collection and basically, it’s a set made up of different nudes — Barely Plum, Barely Moka, Barely Coral, Barely Greige, and Barely Pink. Apparently, my game face wasn’t game enough for the work problems that welcomed me that Monday morning. I went home at 11 PM 😦 and was so disheartened and tired and on the brink of just throwing the white towel. Tuesday morning, I woke up feeling renewed and rested because le husband let me sleep straight through the night without waking me up for our babysitting “shift”. I was feeling a bit lazy though, so I didn’t do the whole U3B’s (no blush, no powder, too), but wanted to brighten things up so I used my MAC Amplified Lipstick in Impassioned (which I have raved about in my last TILT). 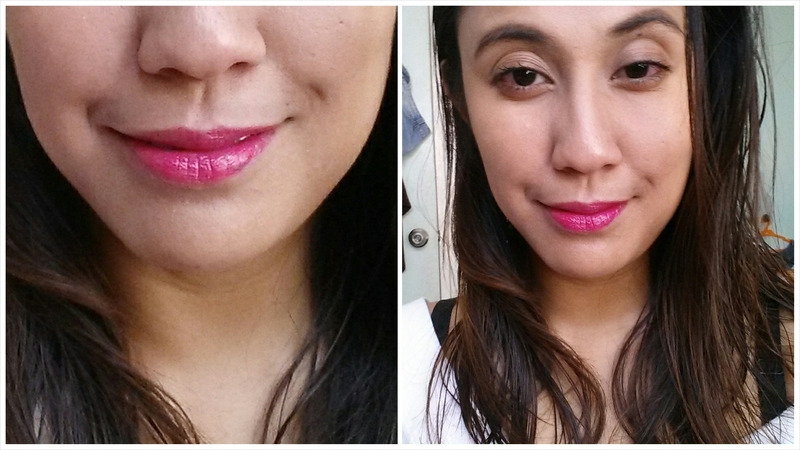 On the tube, Impassioned looks neon and is kind of scary to wear, especially for morena‘s like me. But on the lips, it’s a nice warm color. Tempatalia says that it has a hint of coral but I can’t seem to distinguish the “corality” in it. 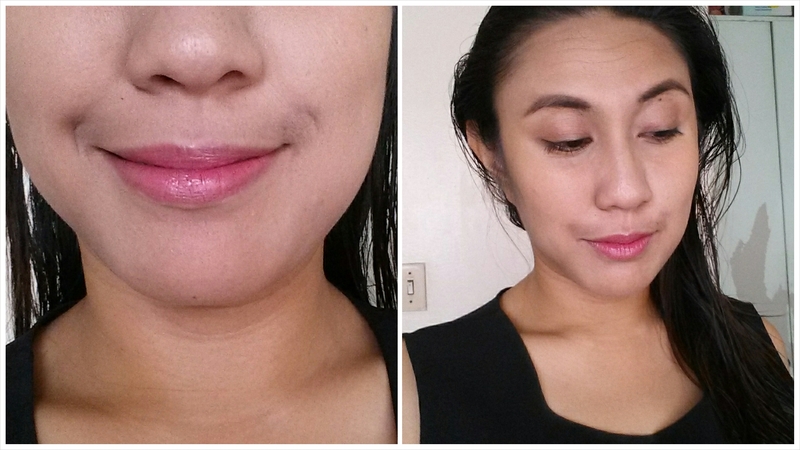 It’s very pigmented, very easy to apply — on the picture above, I only had to apply one (one!) layer of it. My husband dislikes this shade because “it’s too daring”, but I love this! It makes me feel confident and bright and happy! I was dead-tired by the end of the three-day workday so I decided to just lie low and do an almost no makeup face with just my U3B’s without the blush, and my DIY Frankensteined lipstick made of Burt’s Bees tinted balm in Pink Blossom and a MAC dupe in coral. When you look at the pan on the cover (rightmost), you can see the coral tint, but on my lips, the coral was kind of drowned out by the tinted balm. I don’t want to say this, but currently, this lipstick is MLBB (my lips but better). Sure, it doesn’t brighten up my face like Impassioned, but the creases on my lips are lessened and it doesn’t feel dry even after ~eight hours of wear time. 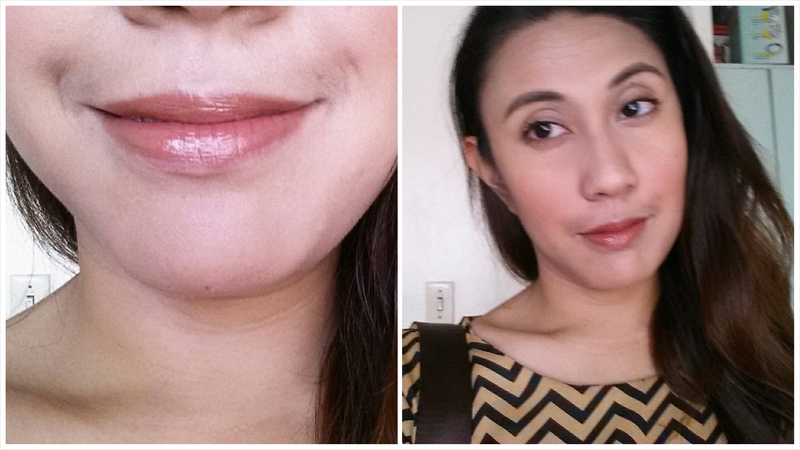 We’ll see if we can find another non-DIY-ed lippie that’ll be my new MLBB. Also, I showed by mom and little sister these three shades and asked them what’s the best one to wear on THE day and they chose this; Impassioned is too red, says my mom, and Barely Moka is too ninang (which I guess is kind of a level-upped tita lol). Which would you vote as the shade for #TheBabs2015? I have a red lipstick from L’Oreal and it isn’t very sturdy nga. =/ It’s bent and wonky and I never even dropped it! I’ve been trying bolder lips but I keep going back to nudes haha. My forever faves are Mac’s Honey Love and Angel and Ofra’s Laguna Beach. Kala ko I’m just not very careful with handling my L’oreal one, or maybe it’s because of the heat? Totally digging the Wednesday chill look, though!